HomeYet another knock on business travel. Yet another knock on business travel. Adding insult to injury, nearby Washington, DC came in second on the list, which was compiled based on metropolitan area statistics of the national pest control service provider Orkin, and where that company has performed the most bed bug treatments over the past year. For Baltimore, it was the third year in a row landing on top of the metro area list. Meanwhile, several others made it onto the list that weren’t there previously (Atlanta and Philadelphia). On the other hand, Dallas and San Francisco have now dropped out of the Top Ten. When you think of it in that context, it’s actually little wonder that Baltimore and DC have so many incidences of bed bug infestations requiring treatment, considering the amount of travel to and from the National Capital region from all over the world. The bigger question is … what to do about it? For its part, Orkin has come up with some suggested personal “dos” and “don’ts” for travelers regarding managing their exposure to beg bugs. 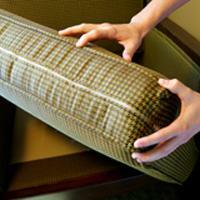 Lift and look around typical hiding spots including the mattress, box spring, behind baseboards, pictures, and torn(!) wallpaper. 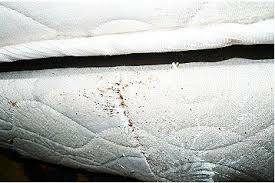 Check carefully for tiny, ink-colored stains on mattress seams, in soft furniture and behind headboards. Avoid placing your luggage on beds, and also avoid proximity to walls and carpeted surfaces(!). Whenever possible, keep luggage elevated, such as on a hard-surface counter. The safest location is placing your luggage in the bathroom(!). Reading the ways Orkin recommends limiting exposure to bed bugs while on a trip seems designed to take all the pleasure out of traveling. Maybe it’s time to consider Plan B: staying home! Speaking personally, I have yet to be subjected to a bed bug infestation — either on the road or “hitchhiked home.” But I know several people who have – and their stories weren’t pretty. Do you have any personal experiences of your own to share? ← Chief Marketing Officer: The most thankless job in the corporate world? I have a bipolar Australian friend who lives in Sydney public housing. His building suffered a bedbug infestation. The need to destroy all clothing and bedding as a result induced a paranoid state which lasted for months with him.